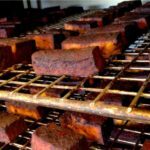 Tofu Shop founder, Matthew Schmit’s interest in local food systems led him to help establish a food co-op in the rural mountain town of Telluride in the mid 1970’s. In the process he was introduced to the art of organic tofu making. 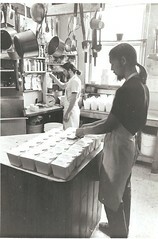 In 1977, he and a partner opened a store-front artisan tofu shop next to the food co-op. 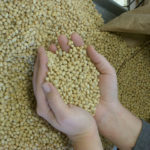 By 1979, the little shop had evolved into a successful vegetarian restaurant and wholesale business distributing organic tofu and sprouts on Colorado’s western slope. 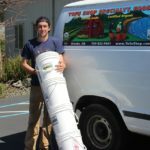 Looking to expand his horizons, Matthew moved to Arcata, California where, with the help of friends and family, he opened the Tofu Shop Specialty Grocery and Deli. 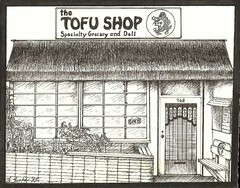 Inspired by descriptions of Japanese tofu shops in The Book of Tofu by William Shurtleff and Akiko Aoyagi, the Tofu Shop Deli made and wholesaled organic tofu out of the back door. Up front in the takeout deli, it offered a variety of fresh, artisan tofu-based burgers, sandwiches, salads and desserts. In 1992, the decision was made to focus on the manufacturing and wholesale part of the growing business. 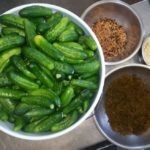 The retail deli was sold, and Tofu Shop Specialty Foods became one of the founding businesses of the Foodworks Culinary Center. 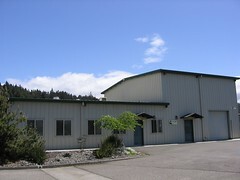 Foodworks was an innovative small business incubator sponsored by the City of Arcata to promote local food production. 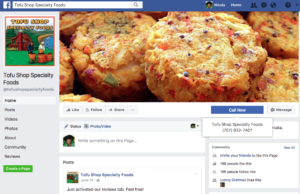 As one of over 10 food manufacturers in the center, Tofu Shop launched a full line of organic tofu-based specialty products based on the most popular recipes from its 15 years of deli business. 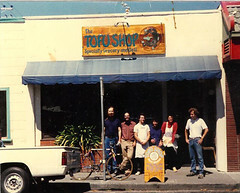 The Tofu Shop began to distribute its products in Northern California. 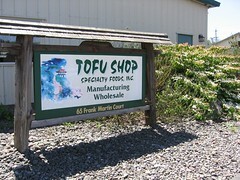 2002-today Tofu Shop Specialty Foods, Inc. 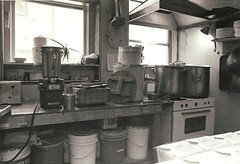 In 2002 we moved into our own custom, artisan tofu plant. 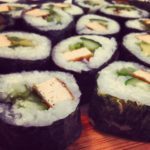 Tofu Shop continues to develop our unique product line and market it to the greater California/Oregon region. We haven’t forgotten our roots and original source of inspiration. 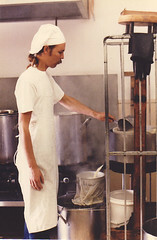 We still handcraft our organic tofu the traditional way – in small batches using open kettle cooking.